The state attorney general and the DuPage County state’s attorney joined Tuesday in a suit to shut down the Sterigenics company blamed for causing a “cancer cluster” in the area surrounding its Willowbrook locations. Attorney General Lisa Madigan and DuPage County State’s Attorney Robert Berlin filed the bipartisan suit in state court. While it grants that Sterigenics was below the limits set in its state permit for emissions of ethylene oxide, a carcinogen used in sterilization processes, it charges the firm with air pollution and with violating common-law provisions to protect the public health. 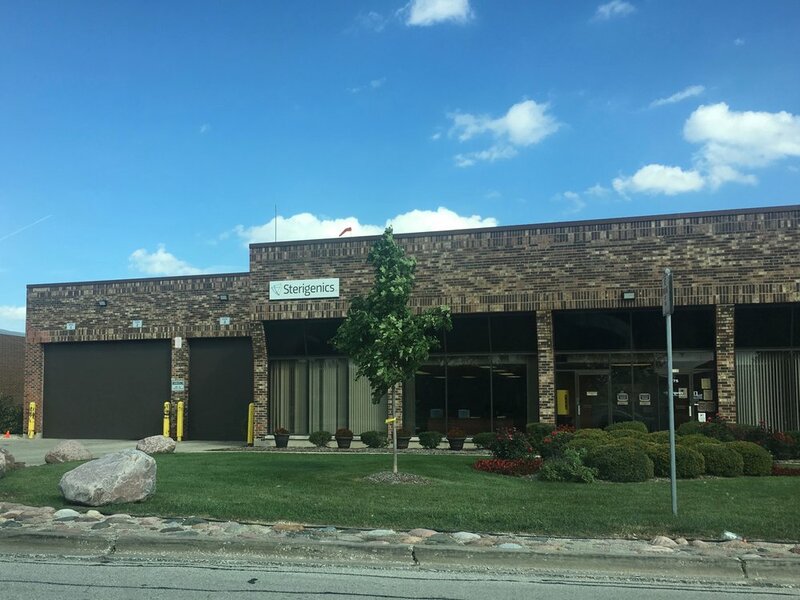 It seeks an injunction to halt operations at Sterigenics in Willowbrook and, if necessary, ultimately make that permanent. The Stop Sterigenics community group, which has driven investigation into the firm since an August federal report cited a heightened risk of cancer in the area, cheered the suit, but called for immediate action on the part of Gov. Bruce Rauner, who has held an ownership stake in the company through investments. “Our community demands that this polluter stop releasing a carcinogen into our air. Anything short of this is unacceptable,” Stop Sterigenics said in a statement. It applauded the lawsuit and new legislation introduced by members of the General Assembly intended to curtail the ethylene oxide emissions, but called for urgency. “While we continue to be hopeful that a swift resolution will occur, we are mindful of the fact that, unless the governor uses his powers to shut down Sterigenics, the process to do so by other means will take time,” the statement added. “Every moment that passes puts more lives at risk. Rauner’s office did not immediately respond to requests for comment. The suit cites how the U.S. Environmental Protection Agency changed the categorization of ethylene oxide from a substance that possibly caused cancer to “carcinogenic” at the end of 2016 in the last months of the Obama administration. By this July, a federal agency was finding that “an elevated cancer risk exists for residents and off-site workers in the Willowbrook community surrounding the Sterigenics facility. These elevated risks present a public health hazard to these populations.” That report found six cases of cancer per 1,000 people in the area — far above the usual threshold for declaring a health risk. The suit points out that 19,271 people live within a mile of the two Sterigenics facilities in Willowbrook, with 10 schools within two miles and two restaurants, a Denny’s and Dell Rhea’s Chicken Basket, within a quarter mile. It cites that ethylene oxide has been known to cause breast cancer and lymph cancer, and that there’s a heightened health risk for children, with 3,000 kids 5 and younger living within three miles and 250 within a mile. Even so, the permit for Sterigenics to operate allowed it to release up to 18.2 tons of ethylene oxide into the air a year. “Thus, the operating permit allows the ‘public health hazard’ as found by the … report to continue unabated,” the suit states. Sterigenics, however, issued a statement emphasizing that it has been working within established regulations. “The lawsuit filed today expressly recognizes that Sterigenics has operated, and continues to operate, well within the limits of its permit and the regulations,” it said. “Any action brought against a business operating well within regulatory limits sets an extremely bad precedent.” It added that its sterilization is used for medical equipment, and shutting down operations “would seriously undermine the ability to proceed with scheduled surgeries and procedures and would put patients’ lives at risk.” It promised a “vigorous” defense in court. But that didn’t mention how IEPA had dragged its feet on supplying the attorney general with emissions data on Sterigenics, even after Madigan’s office submitted a Freedom of Information Act request on it in August. It was only after Republican officials in the area cried out for the governor to take action that IEPA made the formal request for the attorney general to shut it down. The Office of the Attorney General also charged that the U.S. EPA first raised the issue of ethylene oxide emissions with Sterigenics last December. The Chicago Tribune has added that the Illinois EPA was party to that letter. Yet IEPA permitted Sterigenics to alter its air-pollution-control equipment in July, before the report on the heightened cancer risk was issued to the public. That has complicated attempts to hold Sterigenics accountable. The Tribune has also reported that Sterigenics is owned in part by a private equity firm co-founded by Rauner. The governor has insisted in debates with his Democratic challenger J.B. Pritzker that he divested in the firm, but according to the Trib he has not produced any documents to prove that. That has led Madigan to charge a cover-up. It also led President Trump’s EPA to issue a news release Tuesday charging that it had been “misrepresented in (the) press.” But, while it boasts that it “sets the record straight,” that release did not counter the eight-month gap between when the EPA informed Sterigenics of the issue over ethylene oxide and the August report on the heightened cancer risk in the area.